Noureldin's geometrical abstraction opens new spatial dimensions. The meticulously executed colourful wall works, described by him as ‘room drawings’, create a multitude of visual scenarios. For Noureldin, abstraction is an international language with local dialects, and his work is based more on intuition than on calculation and deduction. Noureldin studied at the University of Art Zurich and at the University of Art Basel, and since 2002 has been a professor of Fine Art at University of Art and Design in Lausanne. 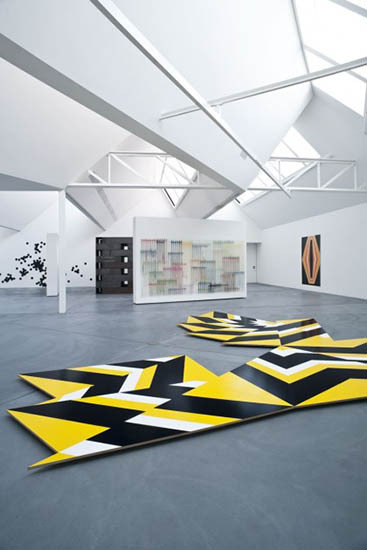 Noureldin has exhibited at Von Bartha Garage, Kunsthalle Basel, Musée d’art moderne et contemporain MAMCO in Geneva, and Kunstmuseum Winterthur.